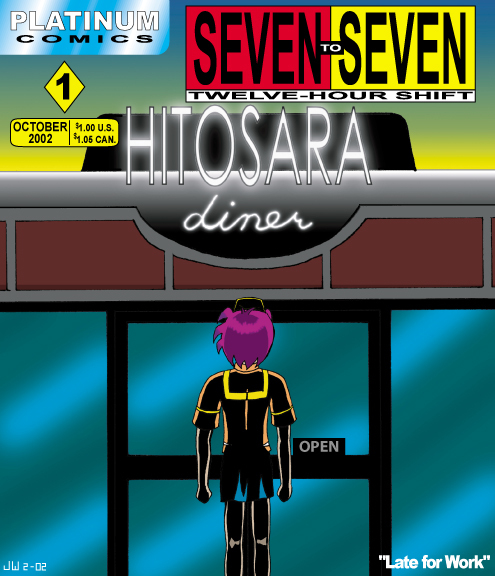 "Seven to Eight" or "Late for Work"
Mika walks to the Hitosara Diner for her first day at work. She's got a grueling 12-hour shift to get through, and she's sort-of-pretty-much ready for it...but when a customer barrels over and begins choking, she might not be as confident as she believes. "Eight to Nine" or "Unfair Competition"
A competitor of the Hitosara tries a dirty trick to hurt its reputation. 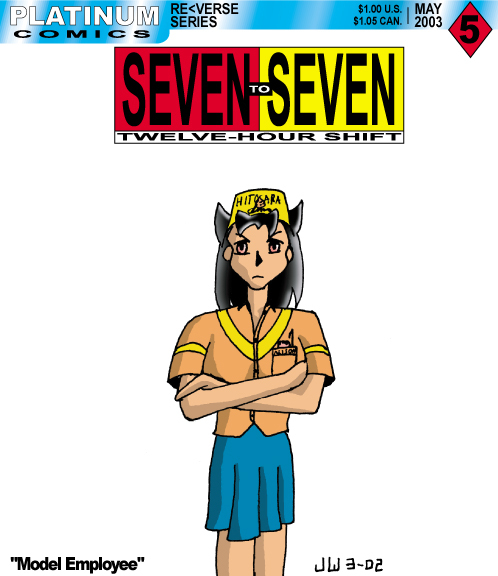 Meanwhile, Mika adjusts to her new job and the long day she's about to endure. "Nine to Ten" or "Wet Floor"
The chef Cal and janitor José are introduced. José seems a bit too happy to see a new face around the Diner. "Ten to Eleven" or "My Hero"
After saving a boy from slipping on a wet floor, he attaches himself to Mika. While waiting for his parents to arrive, Mika and the others must put up with his antics and running mouth. 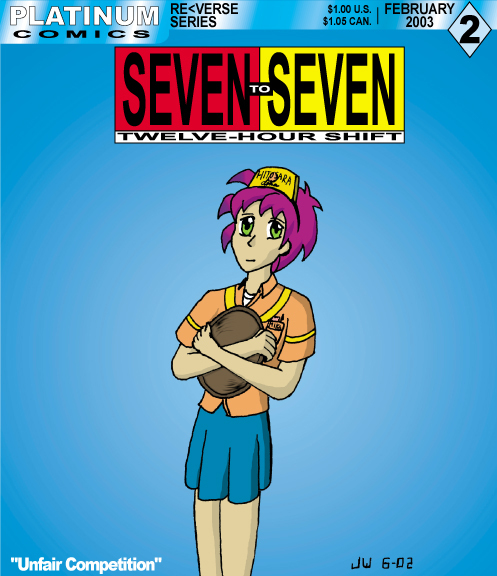 "Eleven to Twelve" or "Model Employee"
Alison, the other full-time waitress, arrives four hours late to her shift. Barbara gives her one last chance to redeem herself before firing her. As the hour continues, she has trouble sharing the Diner with her "replacement," Mika. 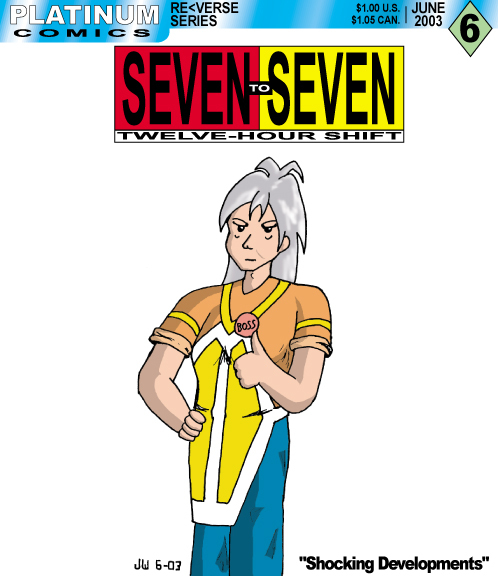 "Twelve to One" or "Shocking Developments"
Alison viciously attacks a customer and is fired. However, Barbara dicovers that a previous customer left a coded note that only Alison can crack. "One to Two" or "Run Mika Run"
Mika goes in search of Alison, and attempts to bring her around to the idea of liking work. Meanwhile, Cal finds a hair in bread batter and goes berserk. "Two to Three" or "Dedication"
After calming Cal down, the message is decoded and Barbara explains the current situation, which is more serious than anyone suspected. "Three to Four" or "The Double-N Double-Cross"
Barbara, Mika, and Andy trek to the Nyara-Nyara Hot Pot to confront their competition before anything else can go wrong. Meanwhile, Jimi and Alison share some quality time managing the Diner alone. 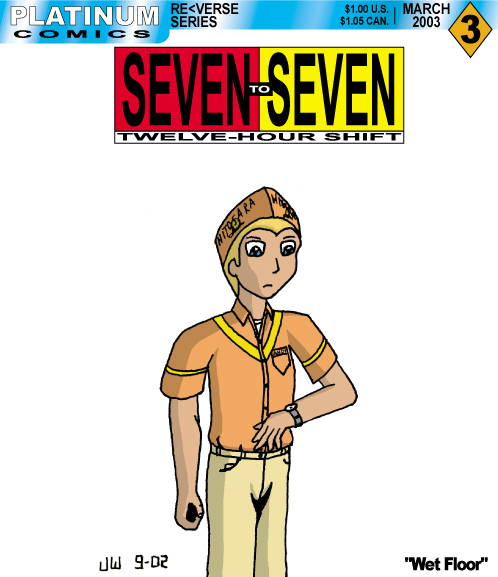 "Four to Five" or "Service with a Smirk"
While Barbara deals with her husband, Andy and Mika rush back to the Diner in order to prevent more reckless sabotage. "Five to Six" or "The Eleventh Hour"
Andy voices his concern for giving into Calvin's demands and transfering Mika to the Nyara-Nyara. 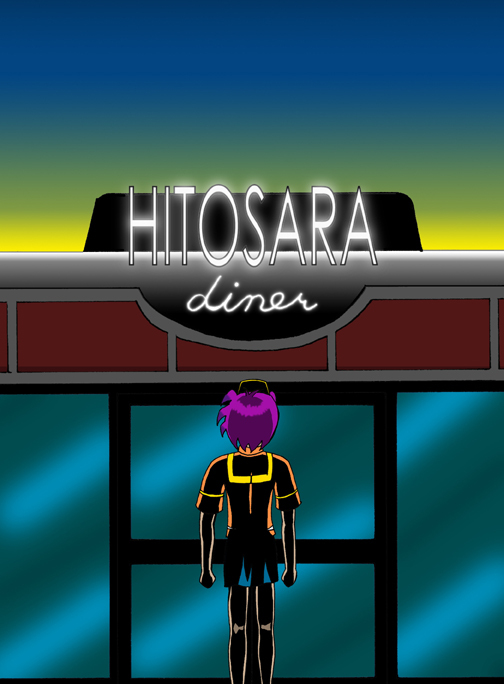 As Mika settles into her second first day on the job, she finds that the Double-N isn't as nice a place as the Hitosara. 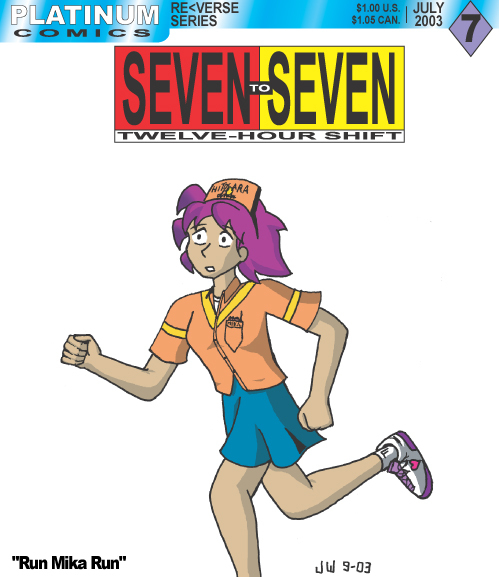 "Six to Seven" or "What Kind of Day Has It Been"
After a timely rescue, Mika returns to the Hitosara with evidence that will topple the Nyara-Nyara. 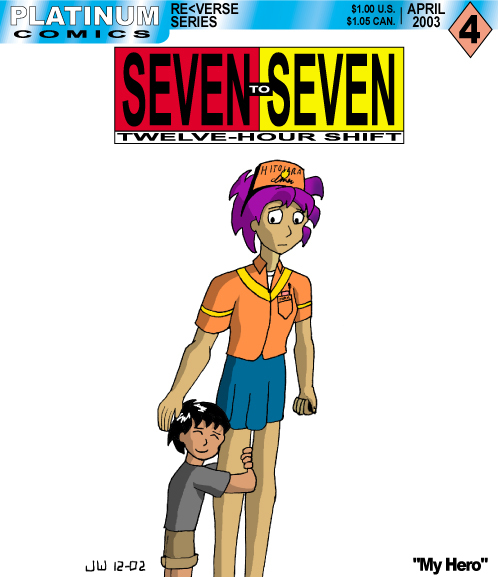 But the experience has caused her to reconsider her future as a waitress. Any relation to real people or events is purely cooincidental.